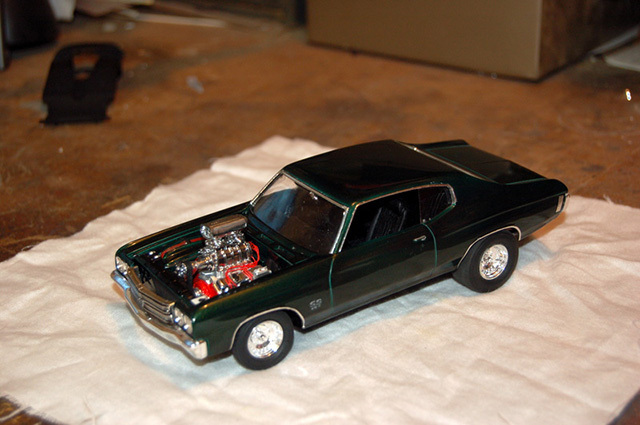 Monogram's 1970 Chevelle. 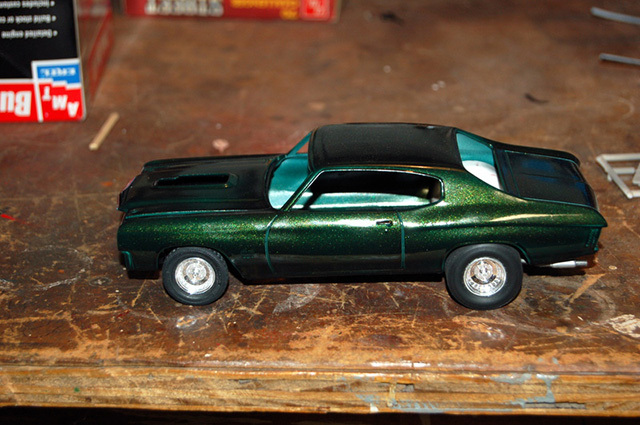 Painted with Testor's Model Master British Racing Green Metallic. 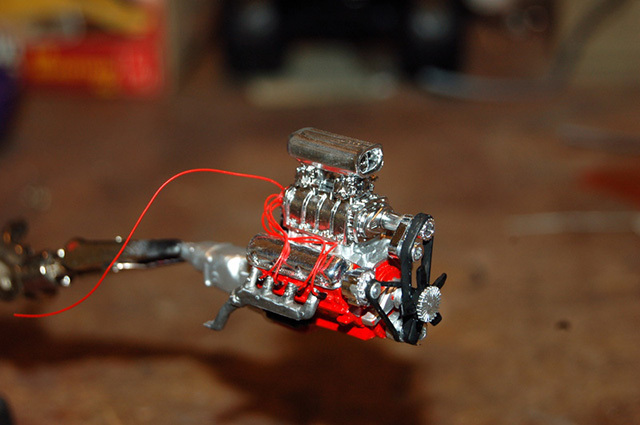 Model was built box stock, except for the added plug wires, and different wheels / tires.